As all airsoft players know, choosing the right accessories for your airsoft gun can be difficult. 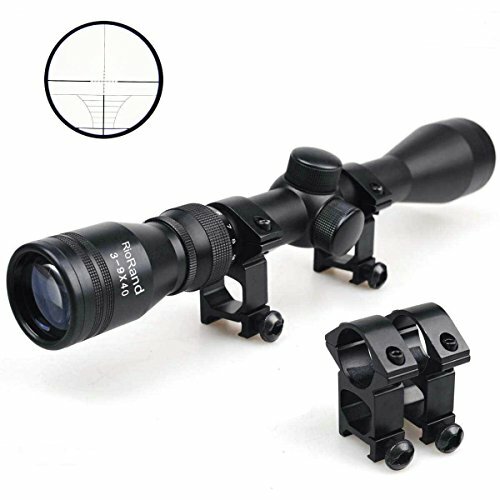 The market is also full of different types of optics and scopes that you just don’t know which to pick! With this knowledge and research from the Internet, you are probably wondering what options are best for you when it comes to buying a scope. Look no further as this article will aid you in your quest of finding the best airsoft scope. Are Airsoft Scopes Worth It? From a frequent airsoft players experience, airsoft scopes are most definitely worth it as they give an extreme advantage over opponents that do not use them. However, if you try to put an airsoft scope on a real gun, the recoil would most likely destroy the scope. If you are using an airsoft scope for airsoft only then you would most likely not encounter any problems. Many airsoft scopes can be adjusted for windage and elevation which is key in firefights.What YOU want is pinpoint accuracy and a scope will increase that tenfold. There are many optics on the market and as said above, it can be hard to find the right one. Mainly, an airsoft scope reflects the player’s playstyle and gun type. Where you choose to shoot your gun and how far you plan to shoot your gun will also need to be considered. To give you an idea of what to look for, here are some of the things you should look out for before purchasing an optic. In airsoft, there is nothing more disheartening than equipment failure. It is always important to buy quality scopes from trustworthy brands to prevent that. The most important thing an airsoft scope needs is to hold your zero which means to keep elevation and adjustment settings constant unless modified. Make sure to avoid scopes that break easily and are incapable of holding a zero. Magnification may or may not be needed in the field that you are playing in but it is something you need to consider when purchasing an optic. 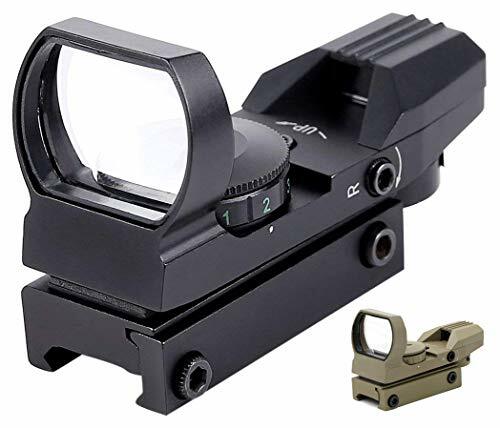 For close distances, a 1x red dot sight would be perfect. For longer distances, a 4x or 3-9x scope would be recommended. CQB fields usually don’t require any magnification on your scope since most of the firefights will be up close. In outdoor fields, your targets will be farther and you’ll also have to account for windage and elevation. This means that you need a scope that can do all of that. Find a scope that will make you more combat effective. Many scopes nowadays come with different reticles, different colors and added resistance. Due to popular demand for user preference, you should look for a scope that suits you. If you play in a swampy field and/or you are expecting rain, you might want to consider a waterproof scope. If you play in a jungle-type terrain with lots of humidity, you might want a fog-proof scope. If you are colorblind and have difficulty seeing certain colors, finding a scope where you can change color is key. What I’m trying to get at here is that you should find a scope that will work perfectly with you as well as on the field. Reliving the game with a scope camera could improve your future play and provide high-light clips to be shared with others. Instead of just telling your friends that you got a triple kill, you will have actual footage to prove it with. If you don’t know how you died, you can also go back to the tapes and see what kind of dirty angle the enemy was using. 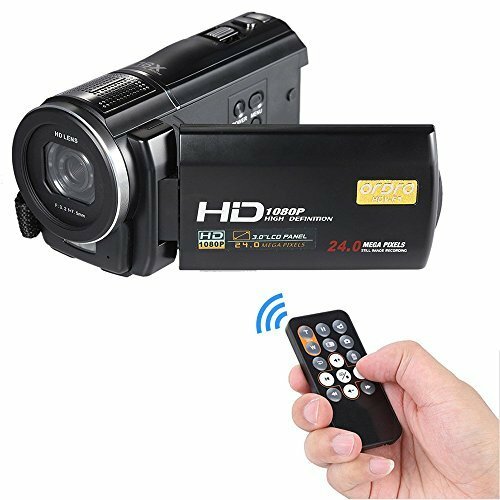 When looking for a scope camera, you should make sure that its minimum recording quality is 1080p minimum at high definition. The most popular type of scope cam is a Camcorder. When looking for a scopecam, find a quality brand that can be reliable and durable. This Ohuhu Red Dot Reflex Sight is great for its price. It’s not shockproof so it wouldn’t be able to handle the recoil of a real gun, but for airsoft, it would be perfect. 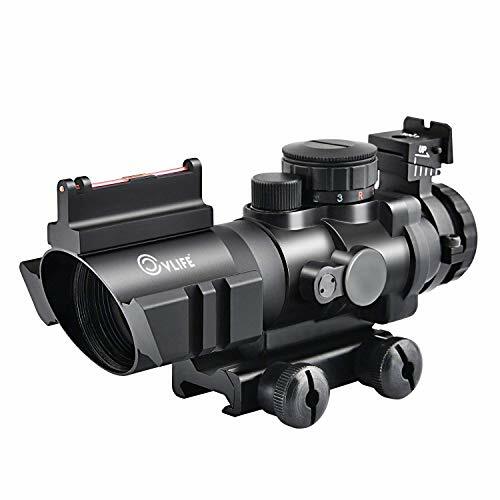 This Red Dot Reflex Sight comes with four reticles, adjustable zeroing, and has unlimited eye-relief. The pros of this optic are that it is completely suitable for all CQB scenarios. However, the biggest drawback would be that there is no magnification so further targets would be covered by the reticle. This scope is perfect for outdoor play. It has 3-9x magnification so you can easily hit targets that are farther away and it also comes with free mounting scope rings. This means that you don’t have to buy additional equipment just so that you can fit your scope on your gun. This scope can be adjusted for windage and is also completely fog and waterproof. The pros of this optic would be that it will not fail you for long range distance shooting but the drawback here would be that you wouldn’t be able to hit/react to a target close to you. Also, keep in mind that there are many types of scope cam adapters that can be compatible with this one. All you need is a mount for the scopecam and you should be able to hook up your camera successfully. This CL-Sports scope can be used for all sorts of combat. If needed for a CQB fight, simply lift your head higher to use the holographic sight. If needed for a long-range shot, simply zero in the scope and adjust windage accordingly. The pro’s of this scope is that it can be used anywhere and perform just as well as the specialized ones. The drawback to using an optic like this would be that it is not as lightweight and put a camcorder on one of these would be extremely difficult. 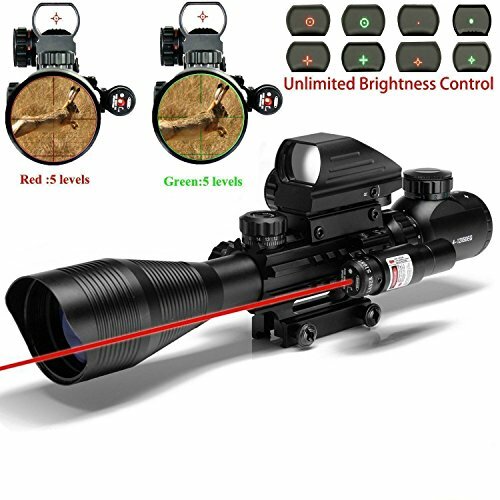 Aside from being a good performing scope, this package includes a laser sight. This means that you might not even need to use the red dot sight above for CQB battles. You’ll know that your shot will hit if the laser is on your target. Even if you doubt that this scope is too good to be true, it comes with a 100% satisfaction service so customers won’t feel scammed. Like most ACOG’s, this scope will have 4x magnification and a fiber optic sight on top. This CVLIFE can be used close and long range because of that. The scope featured is shock resistant, fog proof and waterproof. You can zero it in and also adjust brightness levels on the reticle. Personally, I love how the ACOG looks and the aesthetics on this one definitely gives a more tactical look. The drawback to ACOGs, however, would be having a dreaded eye relief. If you can look past that, this scope would be perfect for any gun. Novritsch who is a famous airsoft youtuber uses this camcorder to record all his videos. By watching some of his footage, you can see how high quality the video really is. This Andoer scope cam should be easy to mount on classic rifle scopes but make sure you have a scope mount adapter as well. You can only put on a scope cam on a scope if you have a mount for it. The camcorder has a 16x zoom, can store up to 32 GB of video footage and has an anti-shake feature for when you are running. All in all, this scope cam is perfect with its only downside being weight. Requires a scout mount adapter to put on your gun. Now that you know the ups and downs of each scope. You will realize that it is hard to get the best of both worlds. Hybrid set-ups with magnifiers can be quite tricky to get a scope cam on but perform the best overall. If you don’t care about scope cams, then a hybrid scope set-up would be perfect. If you are using a sniper scope, the scope cams wouldn’t be an issue with you but being in a close range fight will. Hopefully, with the information above, you will have already picked a scope best suited for your environment and where you will be fighting.